A 'court' in Whitechapel, east London. Many poorer families lived in courts such as this one, sharing a toilet and water-tap with many others. 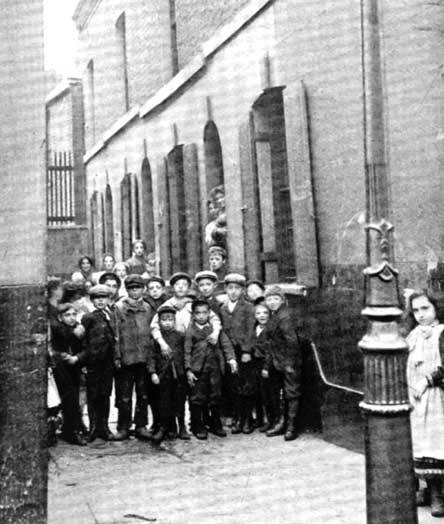 Over 80% of Whitechapel's housing stock in 1900 consisted of courts, alleys and tenement houses.